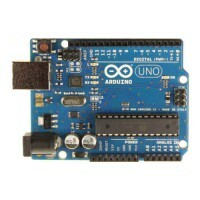 In this category we display the current available Phidgets InterfaceKits and related products. Description:If you need to read a whole bunch of logic-level signals, this input module adds sixte.. Description: The PhidgetSBC3 is a Single Board Computer with an integrated PhidgetInterfaceKit .. Description: This Kit combines many Phidget system to get started fast: I/O Boards .. Description: The PhidgetAnalog 4-Output Produces a voltage over -10V to +10V. This voltage will.. Description: The PhidgetBridge (1046) lets you connect up to 4 un-amplified Wheatstone bridges,.. Description: The 1054 - PhidgetFrequencyCounter is designed to count events from an analog sign.. 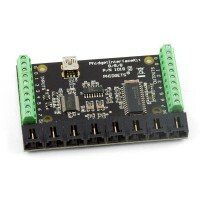 Description: The PhidgetInterfaceKit 0/16/16 (1012_2B) has 16 Digital Inputs - with hardware no.. 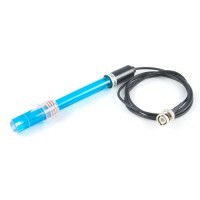 Product Description: Designed for customers who only need a couple of Analog Inputs, Digital In.. Specifications: - 8 Analog Inputs - 8 Digital Inputs with hardware noise filtering - 8 Digi.. Description: You can use the PhidgetIR to control devices with remote control input - such as y..